So you’ve gotten to the step of choosing the type of glass for the windows in your new garage door, and your family’s safety is first and foremost in your mind. Both laminated and tempered glass have been mentioned. Now is the time to understand the difference between them. It’s made from two or more panes of glass separated by an interlayer of vinyl. 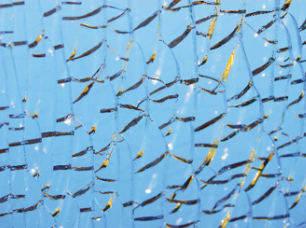 If broken or punctured, the glass pieces stay bonded to the vinyl interlayer, lending some flexibility to the glass and greatly reducing shattering. This is why it is used in modern windshields. In addition, this type of glass acts as a sound reducer and blocks 99% of UV light transmission. In general, laminated glass is more expensive than tempered glass. Extreme heating and cooling of standard glass produces a glass that is four to five times stronger than the original. 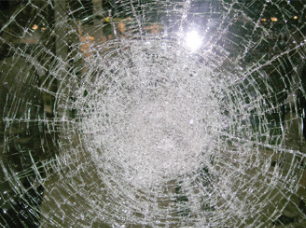 If it does break, it shatters into small, dull, less harmful pieces, and has been used in side and back car windows. You should know that a thermopane window can have tempered glass on only one side, that of the garage interior or on both sides. For an all-glass garage door, like the California or G‑4400, it is suggested to ask for thermopane glass tempered on both sides. lastly, when correctly installed, both are easy to clean and take care of. For a great idea of what all the Garaga models look like, why not use our Design Centre? Once there, you can create your dream garage door!